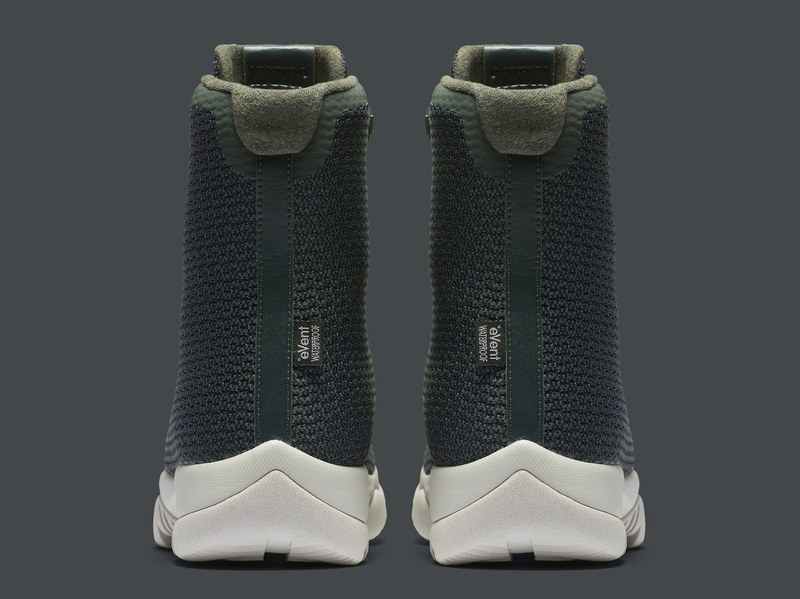 A new colorway for the Jordan Future Boot. 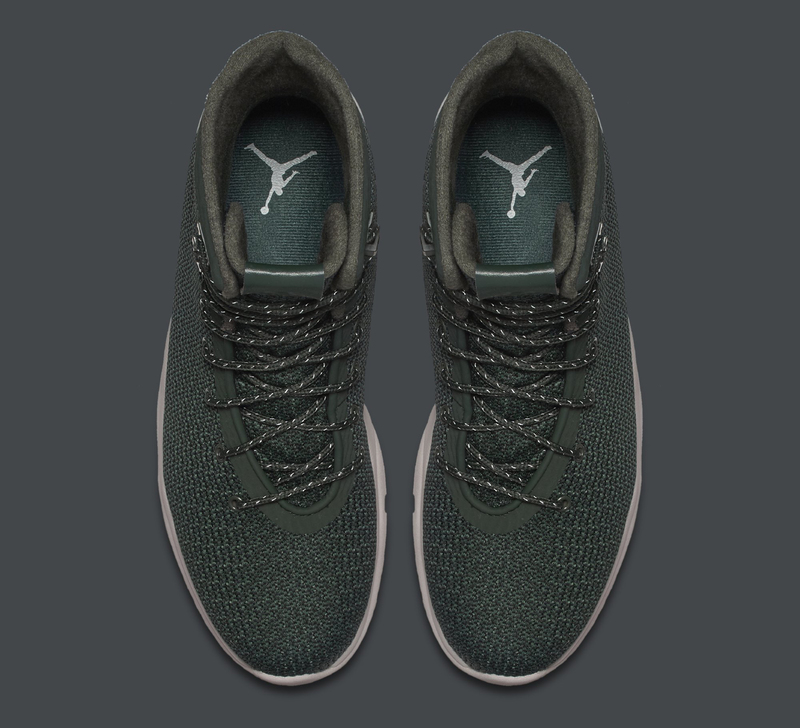 Jordan Brand makes another move in the boot category this fall with the release of the Jordan Future Boot, a model based on the Jordan Future and, by proxy, the Jordan 11. The latest colorway to surface for the sneaker is this grove green one. Where the first release of this shoe had a suede upper, this one uses more of a mesh and boasts eVent waterproofing. 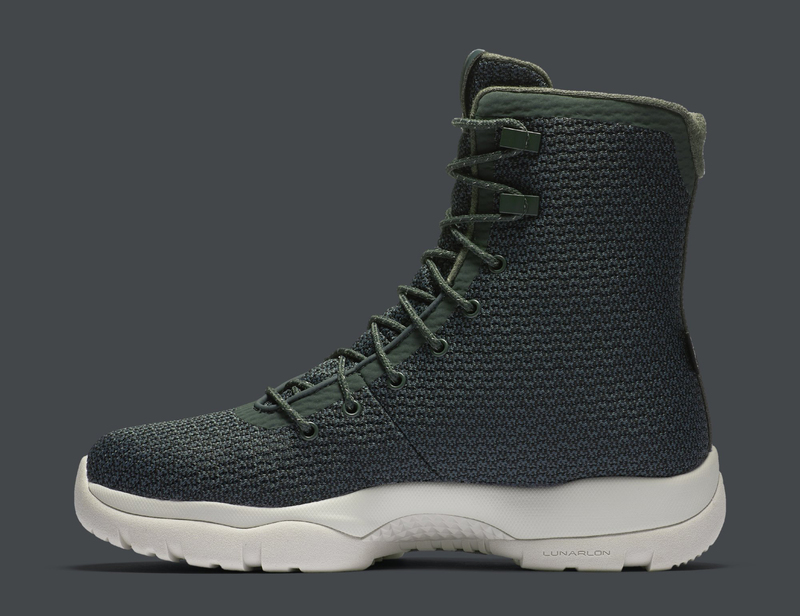 This Jordan Future Boot doesn't appear to have released in the U.S. just yet, although pairs are available via Nikestore in Europe. The colorway is one of a handful for this silhouette that have leaked but haven't fully launched at retail. 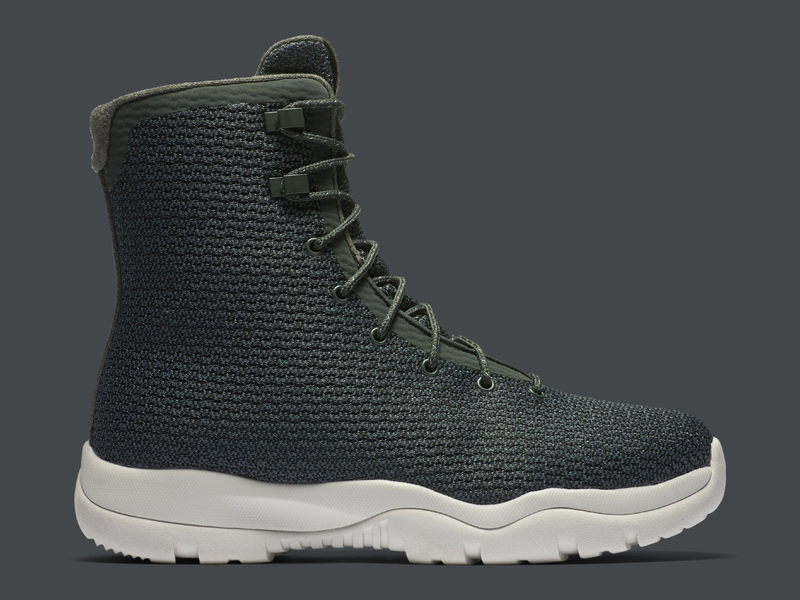 UPDATE 9/26: Nikestore has released these and other Future Boot colorways here.